Whether you’re Latino or not, if you enjoy Tex-Mex music, you’ve probably heard of Little Joe Y La Familia, the Grammy Award winning band that fused traditional Mexican, salsa, rock and roll, jazz and country western music to create a new revolutionary sound. 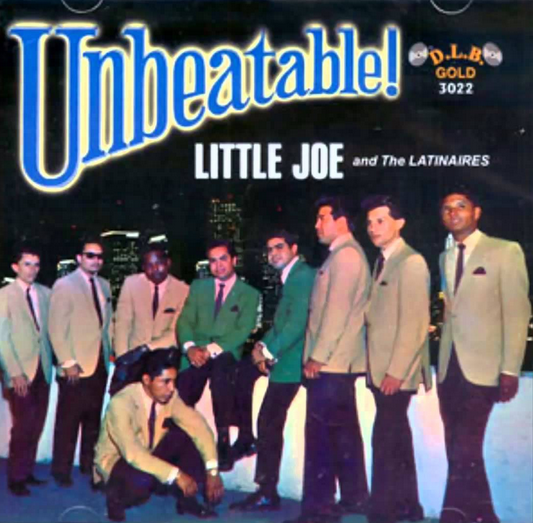 Initially established as Little Joe and the Latinaires in the early 1960s, the band’s image and sound changed over the years, leading to a name change as well to Little Joe Y La Familia. Fronted by Jose Maria (Little Joe) Hernandez and his younger brother Juan (Johnny) Hernandez, the band offered a powerful sound with lead vocals and harmonics that resulted in a string of hits. The combined musical and business talents of the brothers catapulted them from the cotton fields of Texas to international music stages where tens of thousands of fans cheered their performances. Having reached a success of legendary status, what happened that split this musical dynamic duo? Many have said that Little Joe Y La Familia reached their musical peek in the late 1970s with their international mega hit “Las Nubes,” when rumors started about the band breaking up. Some believed it was jealousy among siblings that led to the band’s fall, while others thought it was excessive use of illicit drugs. Now, through the autobiography “The Cotton Picker – An Odyssey” by Johnny Hernandez, the myths and rumors of the Band’s breakup are told. This well written book takes the reader through several decades from the hardship of being born and raised in central Texas where many Mexican American families followed the cotton-picking season, through the pressures and excesses of being a musical star. Johnny’s depiction of growing up in Temple, Texas, as a cotton-picker, will resonate with many former farmworkers whose working days usually started with the smell of fresh made flour tortillas. Others will quickly relate to the experience of going to public school and facing a combination of discrimination and bullying, forcing Mexican Americans to band together for protection and survival. However, perhaps it's Johnny’s telling of the respect and love he had for his family and friends as a preteen, a teenager and as an adult that makes his story extra unique. As he tells it, singing is what kept Johnny going when working the cotton fields during Texas’ hot and humid summers. He often daydreamed that someday he would be performing on a stage in front of hundreds of cheering fans. That dream almost did not become a reality because of Johnny's rebellious tendencies, which got him into legal trouble, had him drop out of school, and marry by age 16. It was after getting married that Johnny began to learn the hard lessons of life, taking on various jobs to earn a living for him and his wife. There were many people who entered Johnny’s life that slowly helped turn him around from his rebellious ways. However, none was more influential than his brother Jesse, who had convinced Little Joe to make Johnny a part of Little Joe and the Latinaires. It was brilliant move by Jesse, who was convinced the group was headed to stardom. 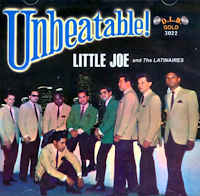 After recording their first major hit, “Por Un Amor,” Little Joe, Johnny and the Latinaires also hit the road for performances across Texas. Unfortunately, Jesse was killed in a car accident before he could see his brothers reach the heights of their musical success. After releasing a string of hit songs, Little Joe moved the band to California where they discovered new musical sounds and performed with popular acts like MALO and Tower of Power. During the late 60s and early 70s, the look and feel of the band fit in with the sounds and styles being created by Bay Area bands, winning over thousands of new fans, especially when they broke out with Tex-Mex music. Johnny was also getting more solo singing opportunities, not only recording, but writing as well. 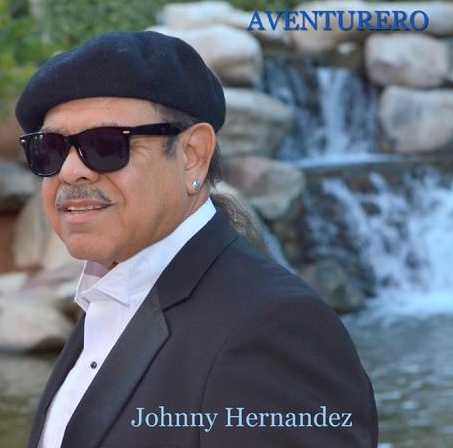 During this time, he also met and became friends with many Chicano music legends like Rick Stevens and Richard Bean. Being apart for lengths of time from his family, put a tremendous strain on Johnny’s marriage, resulting in his first divorce. It was also around this time that Johnny met Pat, a beautiful Mexican American girl from Modesto, California, who became his second wife, and as Johnny declares, the true love of his life. When the band moved back to Texas, Johnny took Pat with him and started a life together, but not everything was honey and roses. Suddenly, Johnny began to feel anger directed at him by Little Joe, an anger that would determine the fate of Johnny's musical future and the Band's direction. 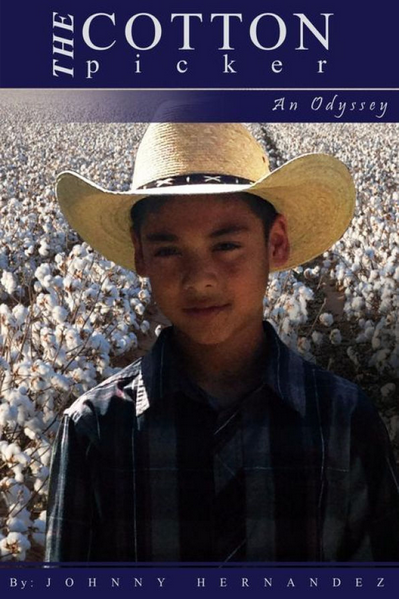 “The Cotton Picker – An Odyssey” is a series of well-told stories by Johnny Hernandez who presents them in the form of a diary or journal, sharing the hardships and successes he achieved, as well as missed opportunities. This book captures the realities of growing up poor in Texas where unfairness and discrimination are as common as compassion and equality, and where life is learned in the streets. Johnny’s detailed description of his adventures, including a sudden trip to Veracruz Mexico, gives the reader the sense of being in the rider’s seat on a very unique, spur of the moment trip. This book is easy, fun and interesting to read, but it’s the story telling of musical historical events that makes Johnny Hernandez’ “The Cotton Picker – An Odyssey” a must-have book. Available at: AMAZON; BARNES AND NOBLE; TOWER BOOKS. I like their songs. So relaxing for me. I like this songs and I own a few albums. Great music !